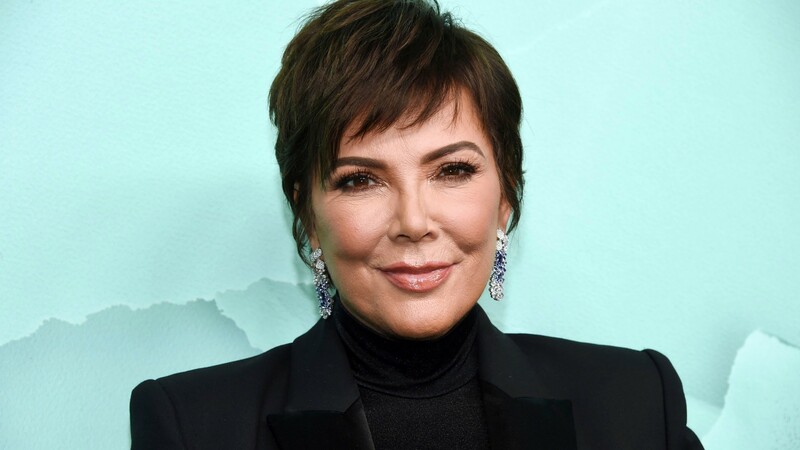 On Sunday night’s most recent episode of Keeping Up With the Kardashians, Kris Jenner was back at it, seemingly meddling in her daughter’s romantic lives. This time around, Jenner was focused on giving Kim Kardashian West horrible advice about her husband, Kanye West, in the wake of his pro-Donald Trump rant on Saturday Night Live (which occurred in September 2018). The scene was not only awkward to take in, but it reminded us of Jenner’s history of interfering in problematic ways in her daughter’s relationships, encouraging potentially harmful connections to remain intact even though it’s easy to see that she just wants the best for everyone. Let’s start with this latest example of Jenner’s questionable behavior. The KUWTK scene in question, which involves Jenner and Kardashian West, takes place following an unplanned and somewhat troubling rant West went on that received a lot of negative press. The rant itself was cut from SNL but footage of the moment made its way to Twitter. On KUWTK, this incident somehow gets turned into a question around Kardashian West’s responsibility for her husband and his actions. This isn’t the first time fans and trolls alike have wondered whether Kardashian West needs to answer for her husband’s actions (hint: she doesn’t because he is an adult who can answer for himself) but to see it awkwardly unpacked by Jenner for the sake of a TV storyline was less than cool. Jenner’s advice is not only wild in the sense that it plays on an outdated notion that women are responsible for and representative of their husband, but that Kardashian West needs to step in and manipulate her spouse. Last we checked, Kardashian West has her plate full with rearing three (soon to be four) children, running multiple businesses and doing numerous public appearances and interviews. It would not only be regressive to demand she somehow become a mother or manager to her husband, but it would be insulting to West as well, who has been open about his evolving political views as well as his mental health (which allegedly was a factor in that unplanned SNL rant). It’s clear that Jenner just wants the best for her children; nobody is questioning that. But this isn’t the first time Jenner has stuck her nose into issues that don’t concern her, potentially fostering unhealthy situations between her daughters and their partners. Let’s not forget that Jenner stayed in touch with Lamar Odom and advocated Khloé Kardashian in reach out to him, nor that Jenner tried to encourage Kourtney Kardashian to get back with Scott Disick during the height of his infidelity and substance abuse days. All we want is for Jenner to maybe take a step back and realize that her daughters are grown-ups with their own marriages and relationships and they need to navigate these situations for themselves, in a healthy manner that makes the most sense for them.